This valance is a great length and the scallop bottom is a nice touch, just like on the pairing curtains. Unless the window is narrower, I would suggest purchasing two to keep it ruffled if that is what you like. Thanks again! The 16x72 Scalloped Barrington Valance features earth tone green, brown, and tan plaid for a rustic lodge look to any room. Darker than what I was hoping for, but looks great! 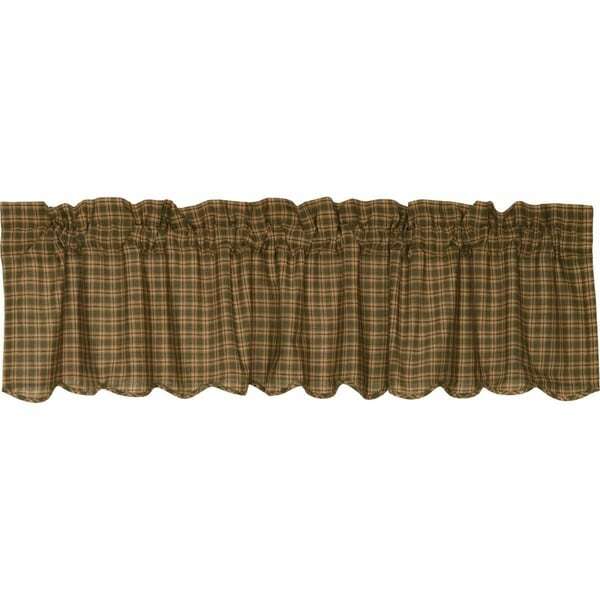 Tea Cabin Green Plaid Valance - 16" x 72"